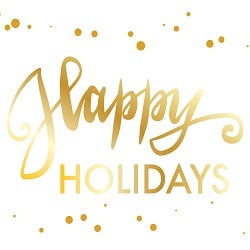 My office will be closed from Friday, December 21, 2018 mid-day until Thursday, January 3rd, 2019. I will not be responding to e-mail, text or phone messages during that time. If you have a previously confirmed meeting with me during that time period, I will be there.